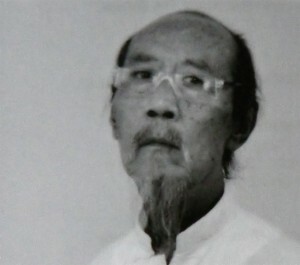 Qiu Shihua is an outstanding contemporary artist who is rather little known in Europe. 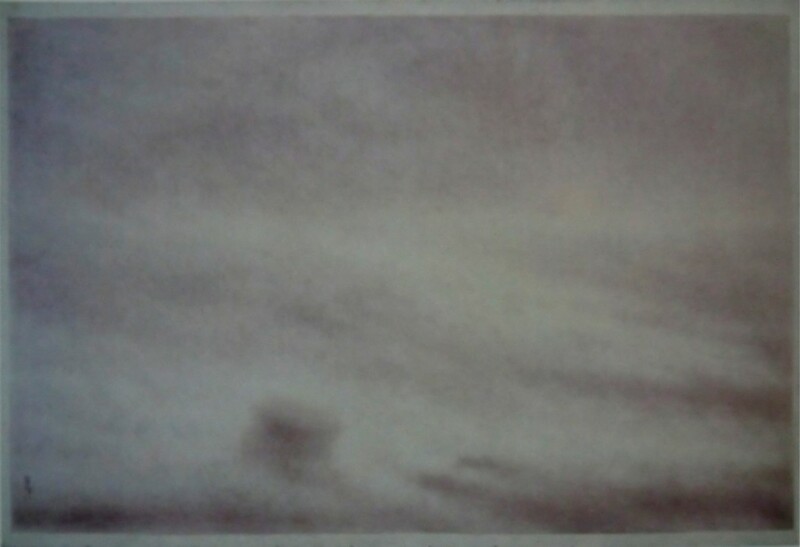 His landscapes are made in a contemporary mode but he is drawing upon Chinese landscape painting in a classical sense. It is really difficult to display Qiu Shihua´s paintings on a computer screen! They are not what they might appear at first sight: abstract and monochromatic. But if you take a closer look then slowly step-by-step their delicacy, their subtleties in pastel shades of white, light grey or beige, the features of the depicted landscape reveal themselves – it is a fascinating process. Chinese landscape painting has specific characteristics. While Western painters right up to the French impressionists wanted to achieve an exact and detailed picture of nature (topos of painting as a window to the world), traditional Chinese landscape follows a different notion: Nature was not seen as being made up of objects and therefore it should not be illustrated and reproduced in its material sense – instead it should be represented in its internal essence, paintings should express the spirit of nature. Qiu Shihua´s paintings do not depict a specific landscape, it is more a kind of meditation about nature – which reflects him being a Taoist, a philosophy and way of living that contributed much to his signature style. His œuvre constitutes a contrast or even an antithesis to nowadays notion of quickly catching the spectator´s eye. And he did not merge himself into the art market. The perfect works to be viewed during what was once called the most quiet time of the year: Exhibition “Landschaft, Licht und Stille”, Museum Pfalzgalerie Kaiserslautern/Germany, until January 6th, 2013 (only in German language). Website dedicated to this exhibition, including a short video where Qiu Shihua muses about his paintings and his Taoist notion of nature – very interesting! (in German and English language). Cit. in: Ute Grosenick, Caspar H. Schübbe (ed. ): China Art Book; Cologne 2007; p. 297. Cit. in: Bernd Fibicher, Matthias Frehner (ed. ): Mahjong Chinesische Gegenwartskunst aus der Sammlung Sigg; exhibition catalogue, Ostfildern-Ruit 2005; p. 240.